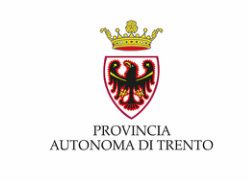 Established in 1997 by six local institutions, the University of Trento, the Trentino Federation of Cooperatives, the Foundation of Cassa di Risparmio of Trento and Rovereto, the Region Trentino Alto Adige / Südtirol, the Autonomous Province of Trento and the Archdiocese of Trento, the Centre carries out studies, research and documentation on the culture, history, and social and economic reality of China, with particular reference to its long-lasting relations with Western civilization. Since its establishment, the Martino Martini Study Centre has tried to be a sound reference point for the development of cultural relations between Italy and China, carrying on the academic activities already undertaken by prof. Franco Demarchi, a pioneer of studies on China. and introducing an innovative area of ​​study and research, enhancing knowledge on China at the University of Trento by valorizing the vast network of contacts developed by local scholars in humanities and various scientific fields. by stimulating research focusing on the relationship between the Western world and the non-European civilizations. relations and cultural cooperation relationships with European and Asian people and organizations, which pursue similar goals.